Sign up for a free user account and you can leave feedback for this content or even submit a review of the game! Next week, PS3 owners will have the opportunity to revisit the game that started all of this open world stuff that's all the rage these days. Next week's PSN update will include a PS2 Classics version of Grand Theft Auto III. As a PS2 Classic and not an HD rerelease, it won't have spiffy new HD graphics or trophy support. That also means it probably won't cost $20, so that's a plus. If you enjoyed this Grand Theft Auto III article, you're encouraged to leave feedback and talk about it with members of the site's community. You don't even need an HonestGamers account to get involved in the discussion. Please remember to keep your comments respectful and on-topic or they may be deleted by a moderator. Thank you for your understanding! None of the material contained within this site may be reproduced in any conceivable fashion without permission from the author(s) of said material. This site is not sponsored or endorsed by Nintendo, Sega, Sony, Microsoft, or any other such party. 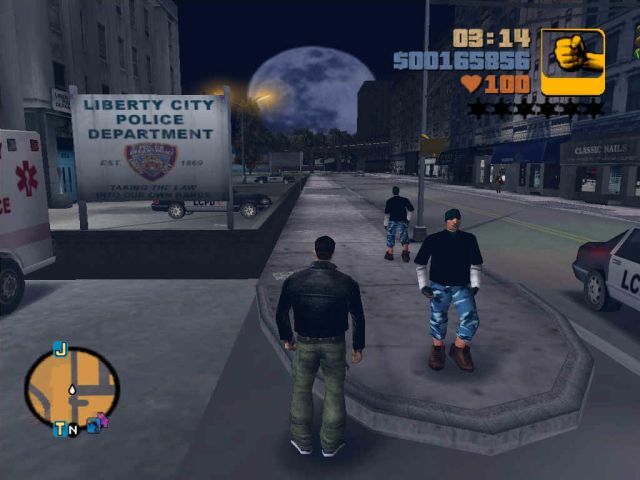 Grand Theft Auto III is a registered trademark of its copyright holder. This site makes no claim to Grand Theft Auto III, its characters, screenshots, artwork, music, or any intellectual property contained within. Opinions expressed on this site do not necessarily represent the opinion of site staff or sponsors. Staff and freelance reviews are typically written based on time spent with a retail review copy or review key for the game that is provided by its publisher.